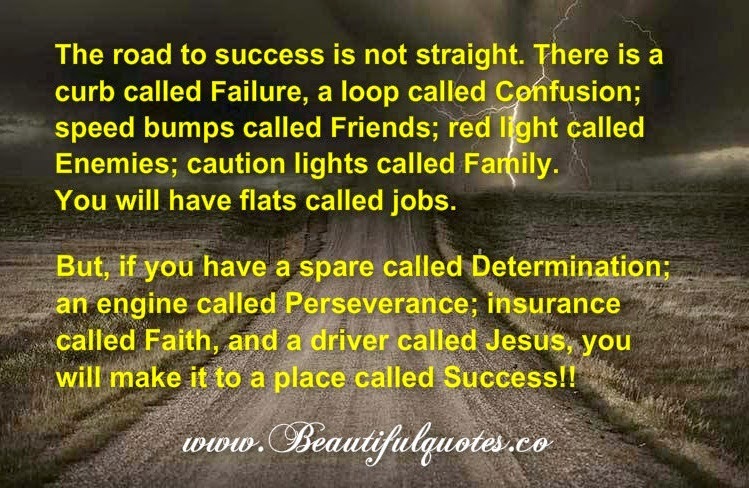 google-site-verification: google8d8438b214143f71.html Beautiful Quotes: The road to success is not straight. The road to success is not straight. There is a curb called Failure, a loop called Confusion; speed bumps called Friends; red light called Enemies;caution lights called Family. You will have flats called jobs. But, if you have a spare called Determination; an engine called Perseverance; insurance called Faith, and a driver called Jesus, you will make it to a place called Success! !